L 11.8" x W 8.4" x H 3.2"
Holley's cast aluminum air cleaner is the perfect finishing touch for any engine. This air cleaner features a low profile design for improved hood clearance with excellent air flow to feed that power plant under the hood! 120-141 is rated 4.0 out of 5 by 1. 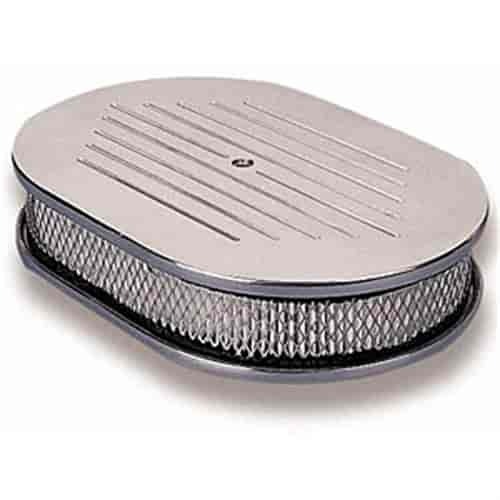 Rated 4 out of 5 by jnd1948 from Great air cleaner The air cleaner is very well made and great looking. My only concern is that the element is a non-standard size so replacement filter elements must come from Holley.